Studio M FunDrive All Day Tuesday! 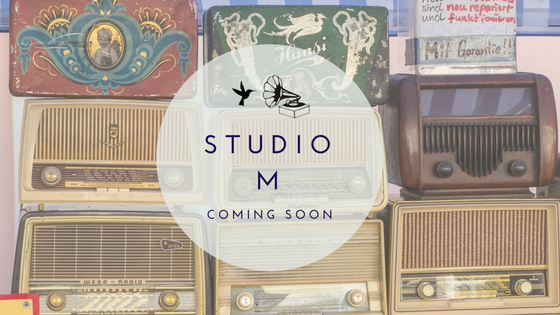 KVNF is working with Montrose and Ouray County community members to open up a new studio in Montrose. KVNF’s General Manager Jon Howard and two members of the Community Advisory Board heading up the project – Margaret Freeman and Chris Marcinek give us an update on the project. Miss your favorite music show on KVNF? 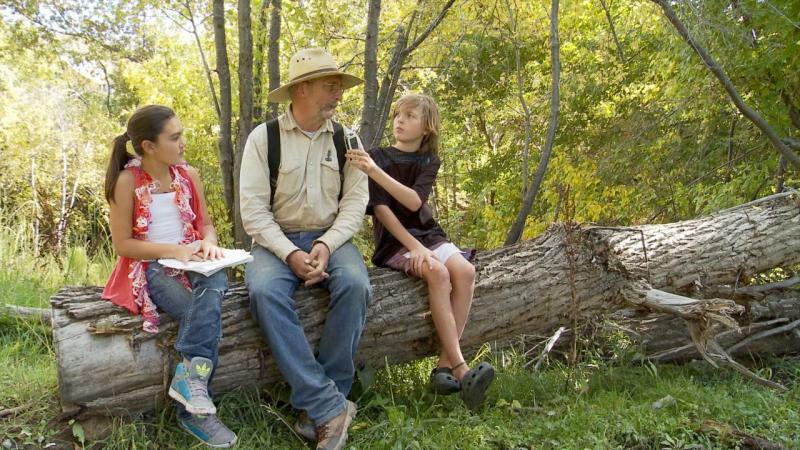 No worries - now you can stream it on demand, for up to two weeks after the original air date! KVNF Community Radio was honored with a regional Edward R. Murrow Award from the Radio Television Digital News Association. KVNF Reporter Laura Palmisano won in the Best News Series category for her report on the Karen refugee community in Delta, Colo.—From Rural Myanmar to Rural Colorado. 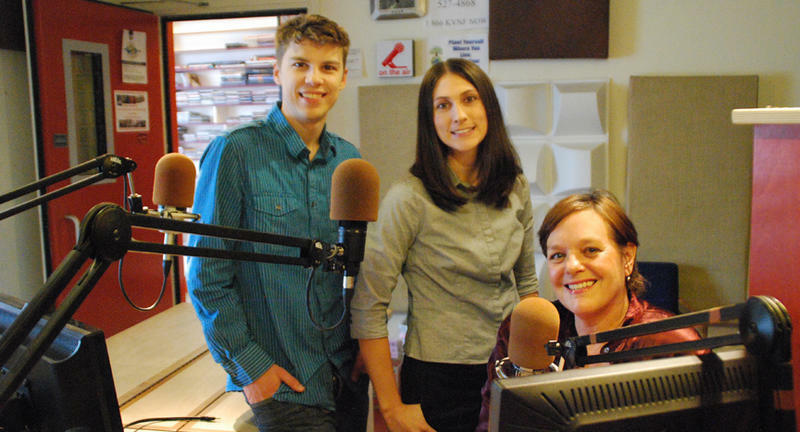 KVNF's news team was recently honored by the Colorado Broadcasters Association. Reporter Laura Palmisano received an Award of Excellence in the Best News Feature, Report or Series category for her three-part series on the Karen refugee community in Delta, Colo.
Joe Cocker fans, Brenda and Tom Kelley of Grand Junction, Colo. were the winning bidders in the recent auction of Joe Cocker’s 1995 Jaguar. The car was given to KVNF by Joe’s wife, Pam, shortly after his death in December of 2014. The Kelleys won by just $5 making the final bid $25,705. KVNF’s Ali Lightfoot spoke with the couple about winning the car. KVNF’s new General Manager, Jon Howard speaks with Ali Lightfoot about his past work experience, the state of community radio and the road ahead for KVNF. Guinness World Records lists a 95-year-old woman from Ohio as the world’s oldest professional DJ. However, KVNF’s Felix Belmont turns 97 Sunday, June 28. Felix has been a volunteer DJ at KVNF for over 35 years. He hosts a program called Stop Time where he plays big band music from the 20's, 30's and 40's. And, he might just be the oldest volunteer DJ in public radio and...maybe the world. KVNF’s Laura Palmisano spoke to Felix ahead of his birthday. Many of are listeners aren't aware that what makes us special as a community radio station is our DJs. All of the DJs you hear, playing the music that you love and that keeps you going through the day, they're all volunteers. They come in when they can, they schedule their lives around our music shows, they are the roots of our programming. Without them, this wouldn't be KVNF. 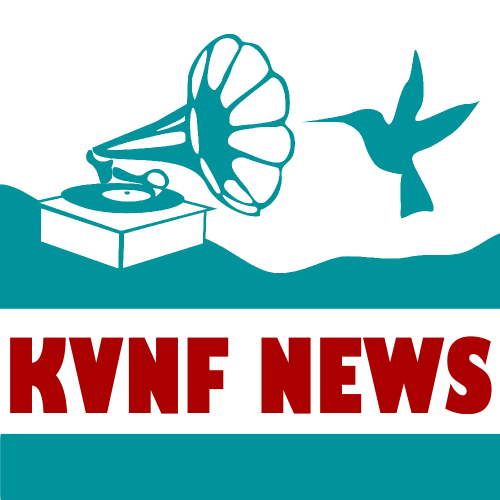 KVNF is part of Rocky Mountain Community Radio, a 16-member coalition of community radio stations in Colorado, Utah, and New Mexico that share content. 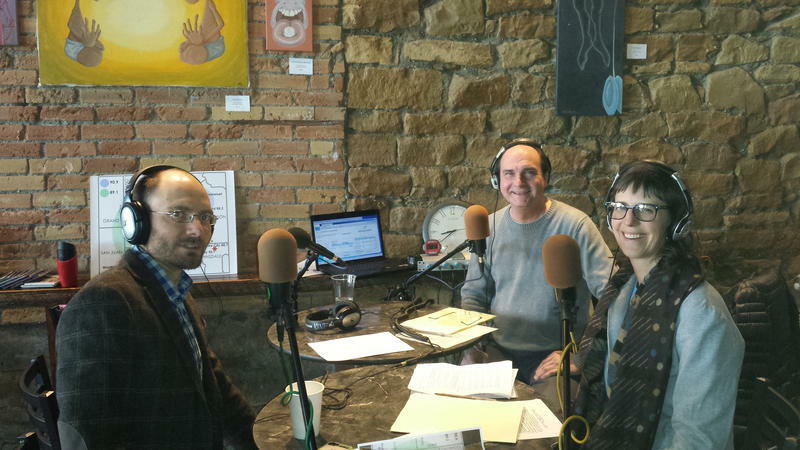 Last week, KVNF participated in a the RMCR Conference in Carbondale hosted by community radio station KDNK. As part of the conference, KVNF’s Laura Palmisano, RMCR's Bente Birkland, and KUNC’s Brian Larson, talked about the nitty-gritty of reporting and the effort and hurdles that aren’t heard on the radio. The program was hosted by KDNK News Director January Jones. EDITOR'S NOTE: At the annual meeting on October 9th, a member made a motion to stop pursing this endeavor. 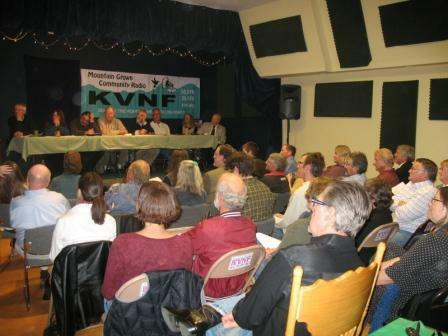 The motion passed, so there will be no changes to KVNF frequency or power. KVNF Celebrates 35 Years This Saturday: Dinner & Dance Party In Hotchkiss! 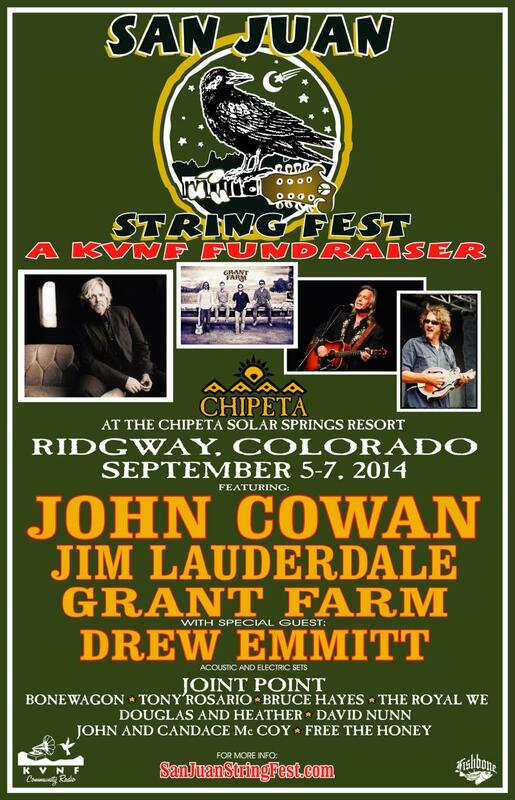 On Saturday, October 4th, KVNF will be 35 years old. Come celebrate with us! Have you ever wanted to go on a music cruise, such as a Blues Cruise, or a Folk Music Cruise, but didn’t want to travel that far to get on board? Book your passage now for an exclusive “Americana Experience” at the Chipeta Solar Springs Lodge in beautiful Ridgway Colorado. On this week's Local Motion we are showcasing our news team. Patricia Naft, the voice of KVNF's morning regional newscast, hosts the program that features six original stories by our news director Laura Palmisano and news producer Jake Ryan. On this week's Local Motion we are trying something new: showcasing our news team. KVNF has a new online method for signing up for volunteer activities, and you're going to love it. Volunteer opportunities are organized on the "Sign Up Genius" website as 3 separate signups, that correlate with the 3 different events happening this summer; the summer concert series, Cherry Days CD/Record sale, and the BMW Rally. As of Monday, 3/24, we have collected about $44,000 and are are very close to our $50,000 goal. Just a few more pledges will get us there. It's easy to donate here online. Do it now! And thank you for being a part of the KVNF Club! ANNOUNCING the first ever MR. KVNF PAGEANT! 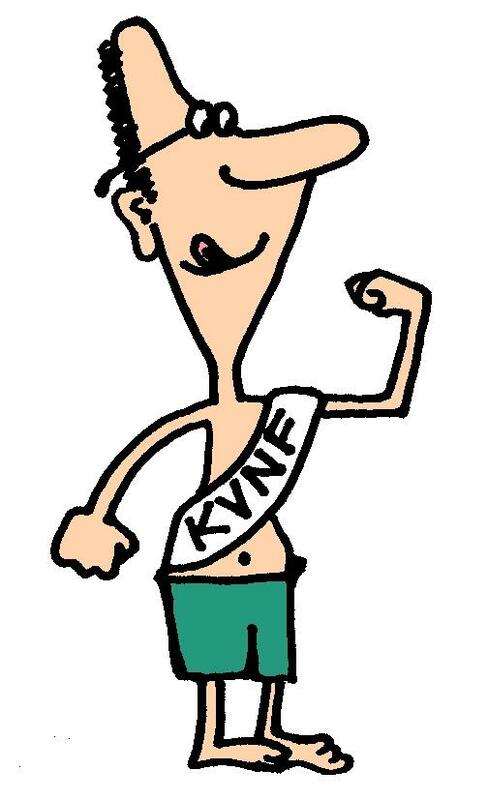 Taking nominations now for that special guy you'd like to see crowned as Mr. KVNF. KVNF members will vote for their favorites during our Spring Pledge Drive, coming up in March. We'd love to see all kinds of guys--all shapes, sizes, ages, personalities, etc.-- vying for the title. So... start sending us names by commenting below. We're Working on our Stream, Hang Tight! If you have trouble hearing the website stream this afternoon, no worries! We're just performing some routine maintenance. The stream will be down for a few hours today, but we expect to have it back up and running before the day's through. 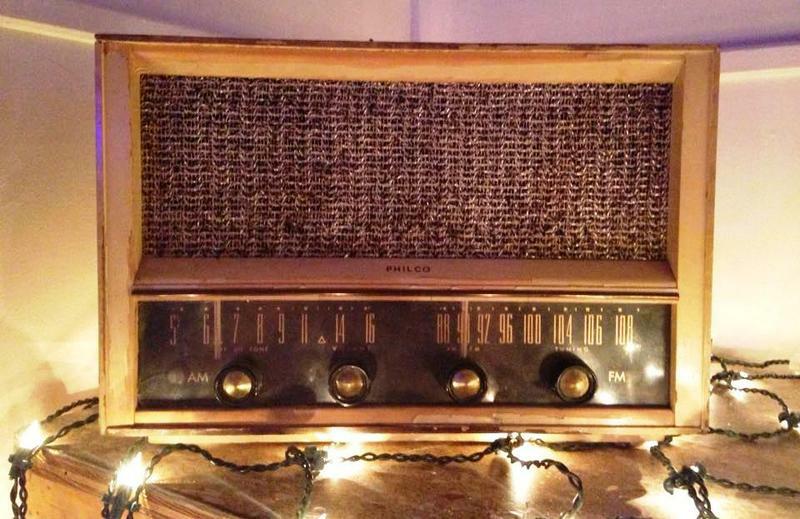 Remember, you can always find us on the FM dial at our many frequencies. A flock of flamingos broke out of the Washington, D.C. Zoo and appear to be headed towards Paonia, Colorado traveling via KVNF's airwaves. 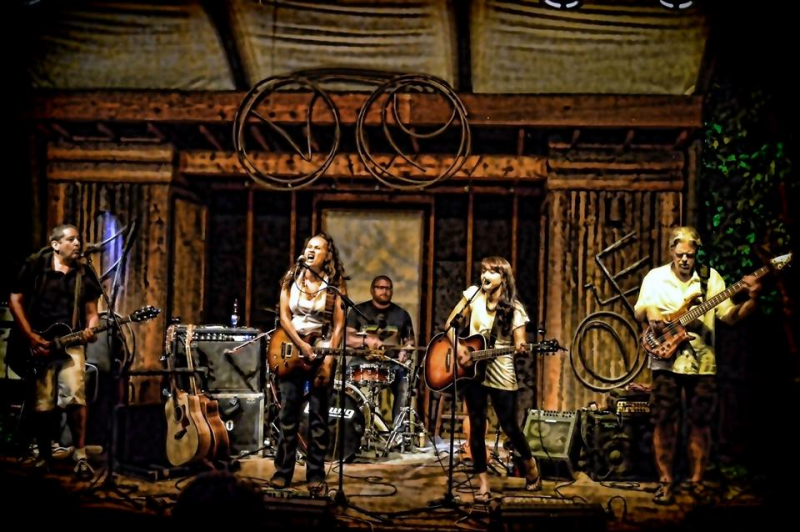 They’re expected to land on the 90.9 frequency in Paonia on February 1st. While the details of the birds' escape remains unclear, they’ve been identified as a group of activists out to give a leg up to community radio. Their activism tactics will include staging stand-ins in resident's front yards and employing the silent treatment. 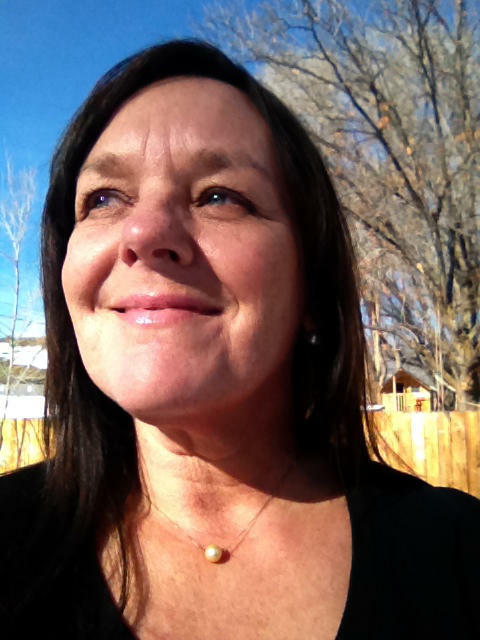 We're happy to announce that Patricia Naft has been hired as the new KVNF Morning News Host. Patricia has been a dedicated DJ and volunteer at KVNF for over a decade, and previously hosted a weekly country music show at KDNK in Carbondale. This Saturday, December 7th at the Paradise Theater, KVNF is screening a series of documentary films on the Pass the Mic project, featuring the full-length interviews our youth reporters conducted themselves. The event is free and open to the public, and runs from 3-4 pm. I recently spoke to Ali about the project, and what she’s learned from working with youth reporters. Congratulations to Kevin O'Brien, the winner of our raffle contest for the 7 day, 6 night trip to Fiji! 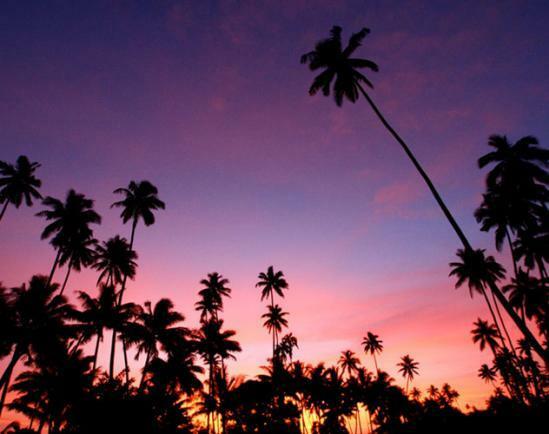 Kevin and a (very, very special) guest of his choice will be traveling to the tropical paradise of Fiji for a luxurious stay at the Koro Sun Resort, Fiji's premier adventure resort on the island of Vanua Levu. At Thursday night's annual meeting, KVNF's Ali Lightfoot and Amber McDaniel called Kevin to surprise him with the good news. He said his heart was beating out of his chest! KVNF's New Schedule is Live! 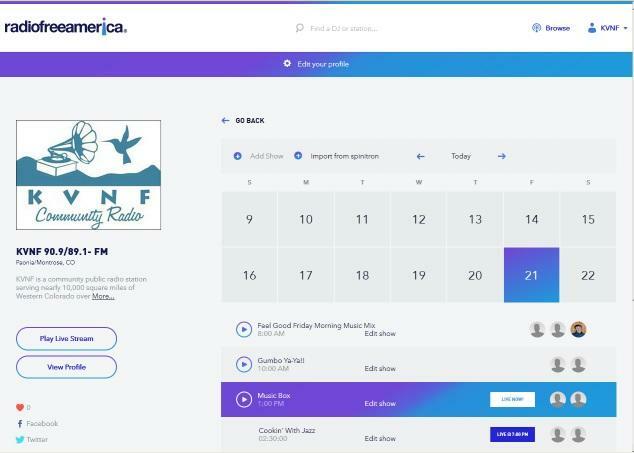 The new programming schedule you've been hearing about is now live. Head over to our Schedule Page to see the schedule, or just take a look at it below! As the KVNF Fall Pledge Drive wraps up, we want to again express our sincere thanks and gratitude for all your support of this station. It's been an incredibly heartwarming week talking to all of you and hearing why you value community radio. This is your community radio station, and you've all shown it this week with your generous contributions. 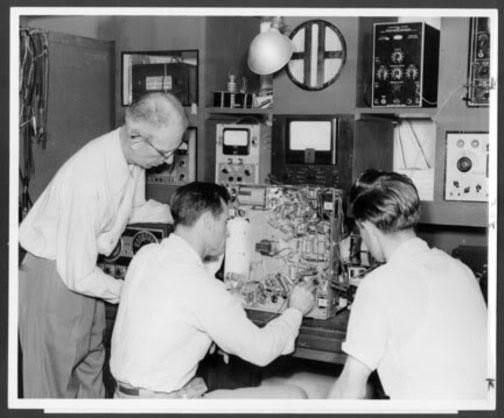 Your donations go directly into our operating expenses and paying for the quality programming you hear every day. 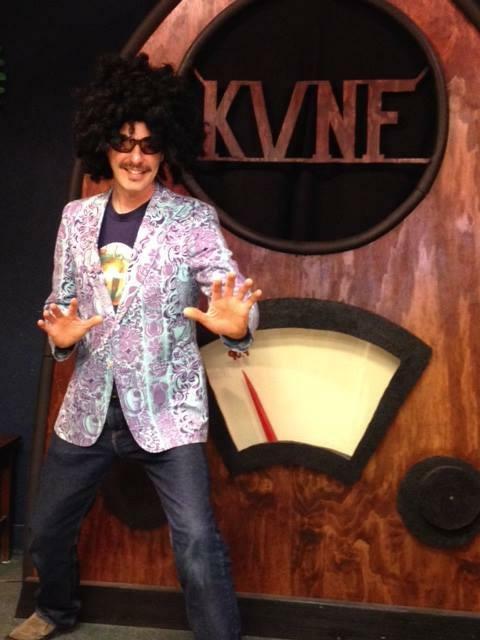 KVNF Fall Pledge Drive Kicks Off Today! It's here! 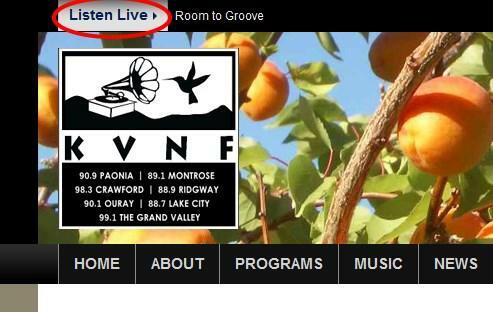 The KVNF Fall Pledge Drive Kicked off this morning and runs through Saturday, October 12th. Pledge Drives are hugely important to community radio stations like us - your support makes up our largest source of funding. To put it simply - we wouldn't be here without you! 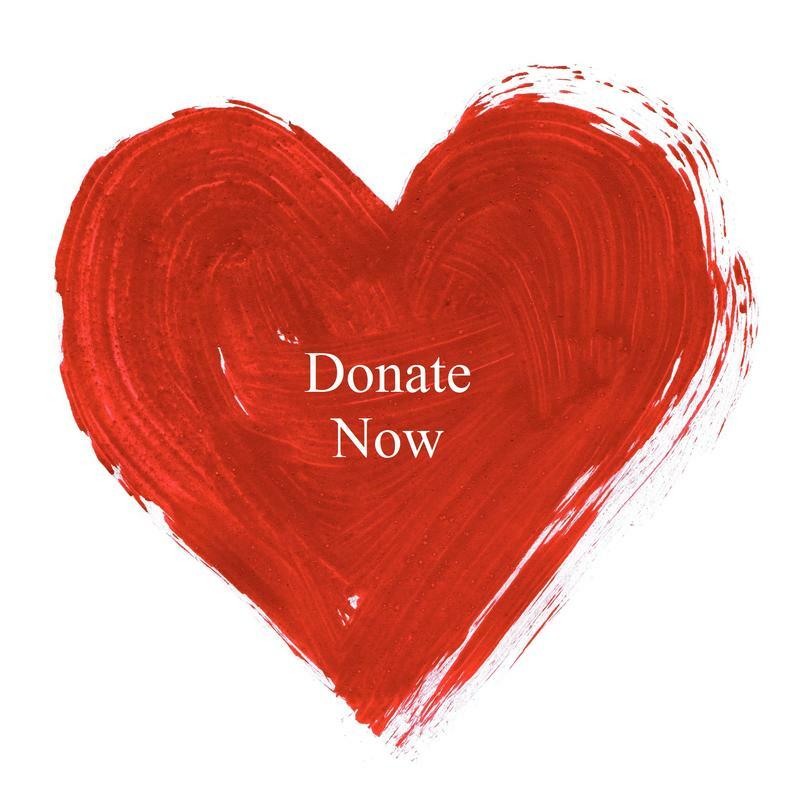 Your donations go directly to everything from daily operating expenses to paying for the informative and entertaining programming you hear every day. 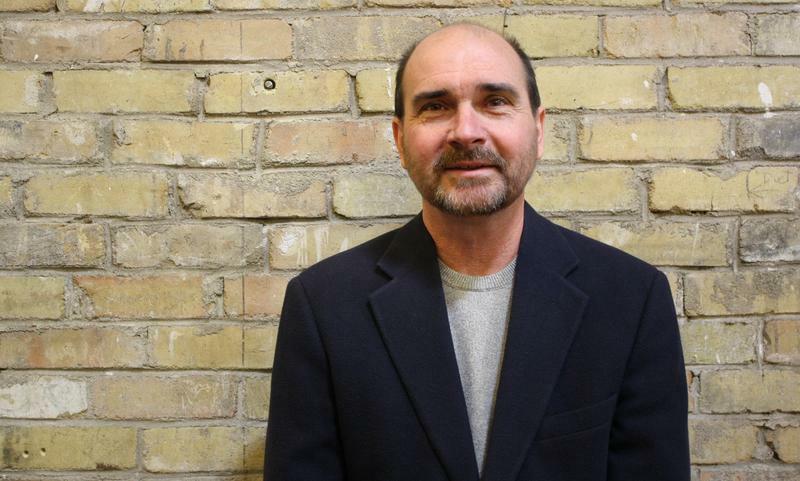 Today's episode of Local Motion features a conversation with new KVNF General Manager Rick Watts.